If you’re a cat owner then most probably if asked you’ll name the automatic cat litter box as one of the greatest inventions of all time. Isn’t it every cat owner’s dream? To constantly have a clean litter box without having to ever clean it? The simple way that automatic cat litter boxes work is that it cleans itself after every single use and then deposits your cat’s waste into a plastic receptacle. All you’d need to do is to remove it every few days. Read my automatic litter box reviews to find out more! 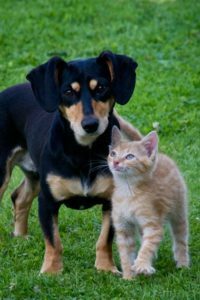 But before rushing into buying the first automatic cat litter box you’ll see, there are some things you might want to know and consider before deciding. After all, it’s not something you buy every day and their prices can get pretty high, so that it’s more of an investment, and you don’t do investments impulsively. Keep reading for everything you need to know before getting your first automatic cat litter box. The benefits of using self cleaning litter boxes is also great. 5 How many cats do you have? First of all, with the fact that an automatic cat litter box can cost up to $700, it’s really important to decide on how much you’re actually willing to spend on this item. It’s not a really simple product, so the high price can be understandable, even though there are some models that come as cheap as $100. The main difference between the cheaper and more expensive ones is that the cheaper ones are bigger and will take more room space, and the more expensive ones actually mean that you won’t have to do any work at all since they’ll dispose the waste by flushing it away through home water waste lines! Where will you keep your new litter box? Do you have enough available space? Make sure this is one of the things you consider first – the size and bulkiness of the model you’re purchasing. There are different models nowadays that you can choose from, some of them smaller than the others, and you might want to pick one of those if you don’t really have a lot of extra available room space. Even with the most expensive and incredibly effective models, truth is that you’ll still need to do some tiny cleaning from time to time. These machines have been designed with a standard, completely normal, everyday scenario in mind. This means that every time your cat does not act perfectly normal, you’ll have to clean up a bit after it. So of course, no more scooping, but you will have to clean poop that ended up caught on the edges, clean the floor if anything ended there, change the plastic bag and trays (except with more advanced models), and completely clean thoroughly the whole thing from time to time. 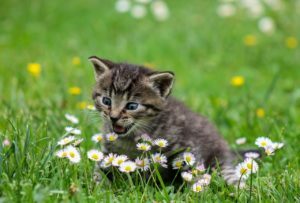 Ask yourself – is your cat one of those adaptable ones or is she someone who doesn’t really enjoy when brand new things are introduced all of a sudden? Some of the automatic ones use crystals instead of litter, which might be a huge change for your cat. How well your cat will adapt to a change like this strongly depends of her age. 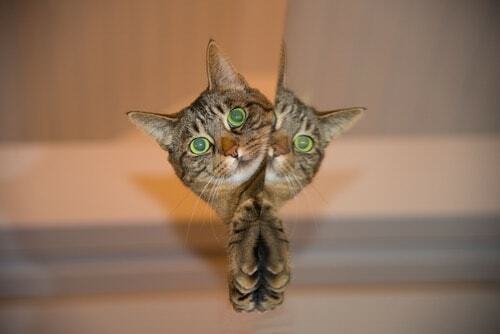 Older cats have more difficulties adapting than younger cats. Always check how many cats the automatic litter box has been designed for, since some of the models are strictly designed with one cat only in mind and are not really usable for more cats. The main reason why a model might not be good for more cats is if the waste compartment is small and can’t really hold waste from more than one cat. If you have more cats, it’s safer to just ask for a model that’s been designed for that. Some models will need you to do continuous spendings to keep them running. Always check what, how much, and how often you will need to buy stuff like plastic bags, trays, crystals, special cleaning solutions, etc. This is really important, you need to know how ‘demanding’ an automatic cat litter box is before purchasing it, since sometimes if you don’t have perfectly all the things you need, the litter box will just completely not work. 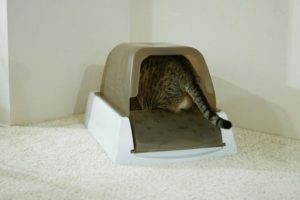 Just like I said earlier – automatic litter boxes are designed with the perfect urinating scenario in mind. So if your cat doesn’t have any strange peeing habits – probably almost all models will work well for her. But if she has her own original and specific ways, for instance let’s say your cat likes to maybe kick or dig in the litter, than she will probably not like the new automatic version, since it will not offer her enough depth of litter to dig into. Also, you need to know that if your cat is one that prefers urinating horizontally, an automatic litter box with low walls won’t really work for her. There are some bigger models that can actually be used in situations like these, but most of the models will not really allow your cat to pee horizontally anymore. Although I already described in detail the most important things you’ll want to know before purchasing one of these, there are some other minor details to be added. For instance, does the litter box need to be placed near a water source or a power supply? Or – what type of litter does the box use? Does it use the ordinary clay clumping litter or some other type?